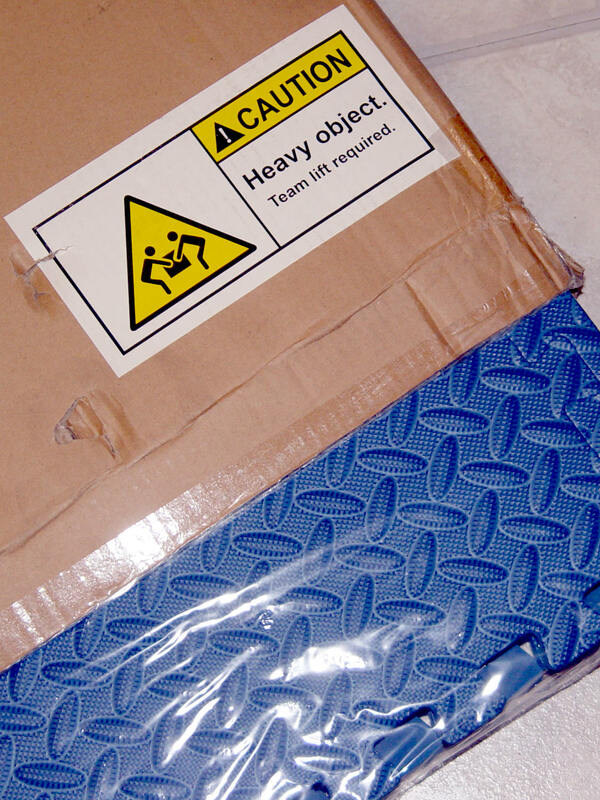 It contains half a dozen foam floor mat sheets weighing a bit under a pound apiece. 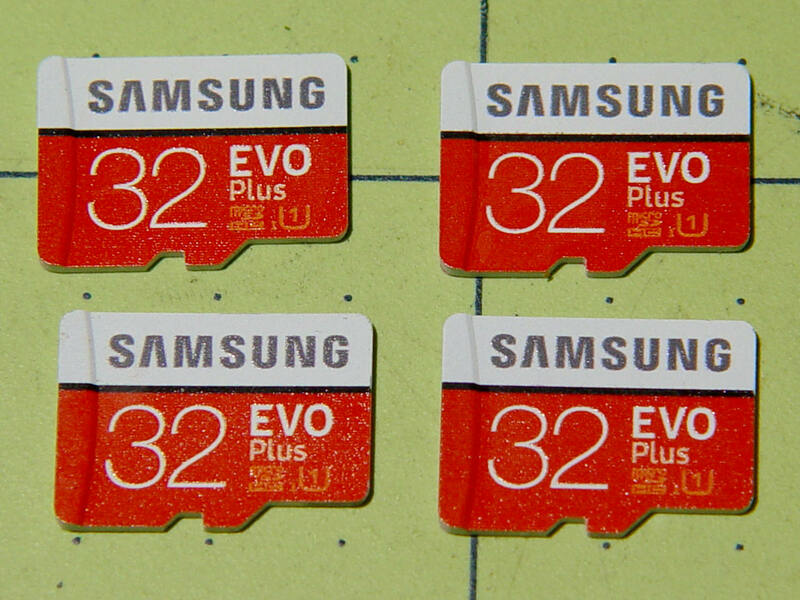 Prices have collapsed to the point where known-good (all four passed f3probe testing) cards direct from Samsung (as opposed to Amazon’s “commingled inventory” counterfeit situation) now cost $12-ish each with free shipping. After I finish fiddling with the first camera, I’ll copy its card onto these four, unique-ify the IP addresses / hostnames /suchlike, and bring ’em all online. Given a camera running Xiaomi Dafang Hacks software, you can set up motion-triggered image capture and save the images either locally or on an FTP server. The latter makes sense, as it automatically plunks the images where they’re more generally available. The FTP server should have the Cam4 directory in place and shared for read-write access before attempting to plunk files therein. Ahem. 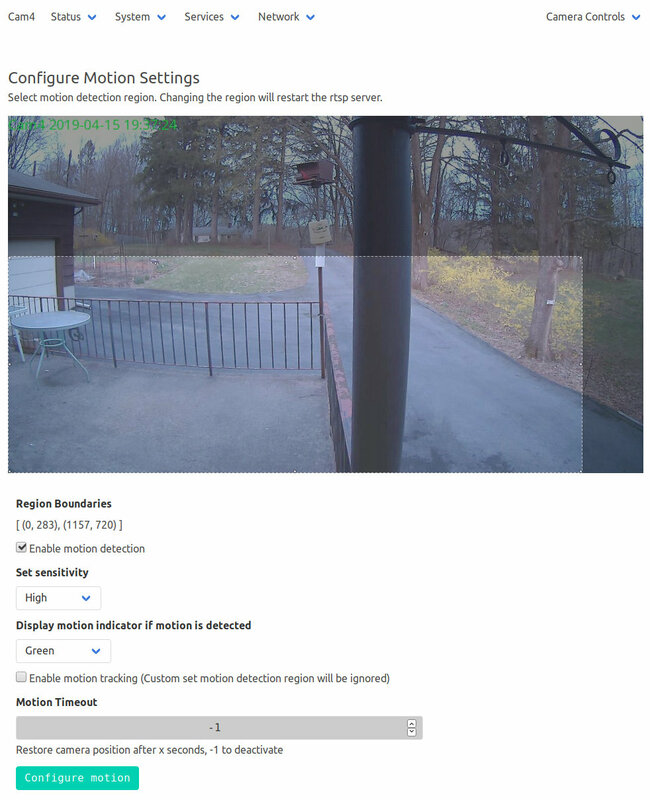 Limiting the detection region to the lower-left corner cuts out all the waving-in-the-breeze foliage in the yard, while covering the driveway. 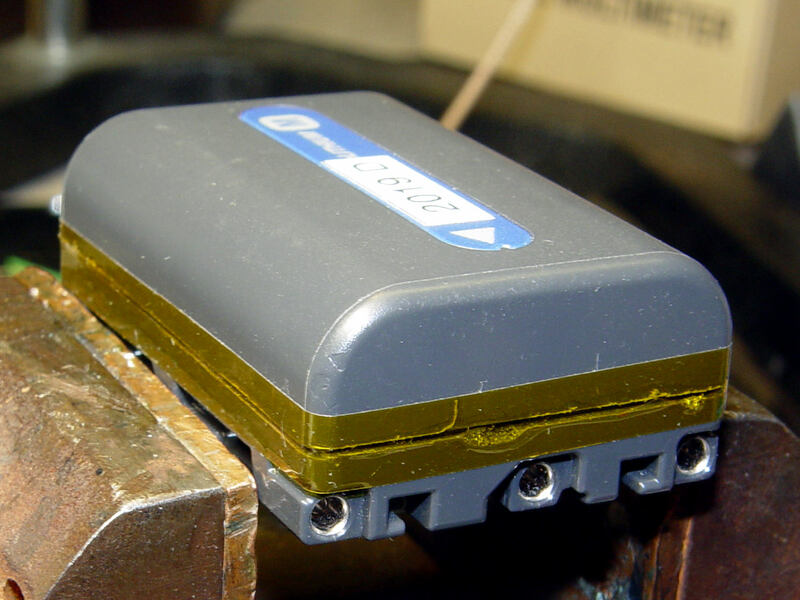 High sensitivity detects squirrel-sized objects in the foreground, although your mileage will certainly differ. The camera seems rate-limited at 5 s/image, which may come from FTP transfer overhead; I don’t know if the code includes a built-in delay or if it just works like that. The NAS drive requires upwards of 7 s to spin up if it hasn’t been used for a while, but afterwards the transfers don’t take that long. 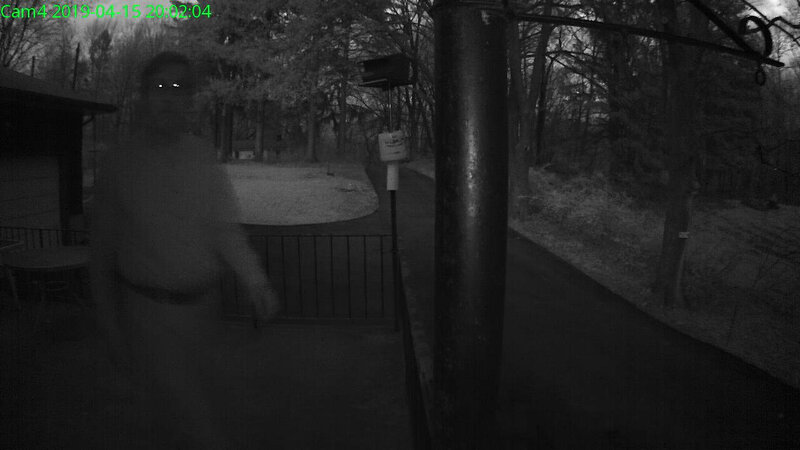 The camera has built-in IR LEDs, but they’re nowhere near powerful enough to illuminate the entire yard. Unlike the original Wyze firmware, the Xiaomi Dafang Hacks firmware & software keep all the images & metadata within my network and under my control. 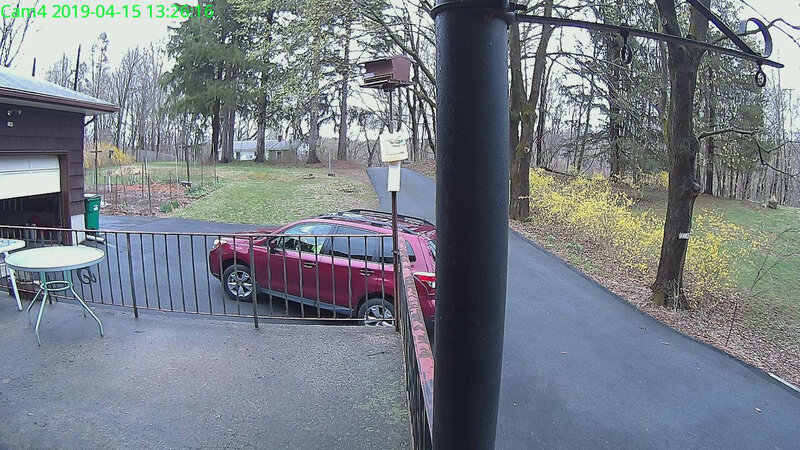 With the Wyze and Xiamoi Dafang cameras running the Xiaomi-Dafang Hacks firmware and software, I tried the timelapse functions on the yard camera. 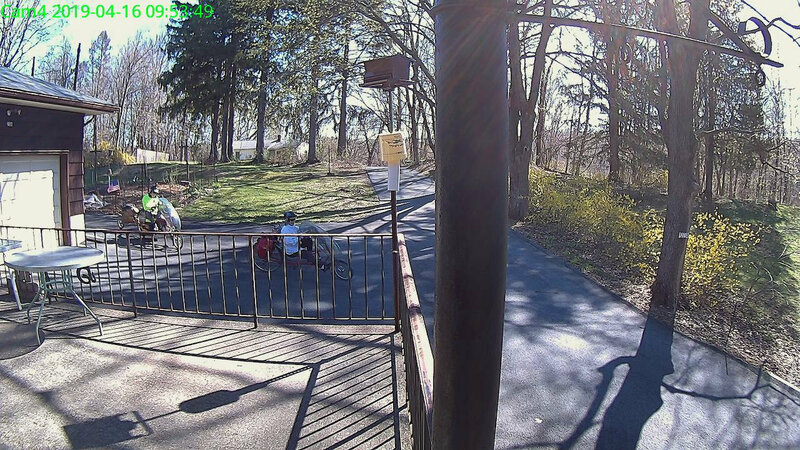 The images, named along the lines of 13-04-2019_191810_001.jpg, appear in the DCIM/timelapse directory, tucked into daily directories with names like 2019-04-13, a mismatch obviously in need of tweaking. There’s also a time_lapse directory which seems like cruft from an earlier revision; you can configure the target directory in scripts/timelapse.sh. The -s silences all curl output; omit it until you’re sure the lashup works as you expect. I always forget the backslash before the semicolon terminating the -exec command. The IP address corresponds to my ancient NAS drive; your mileage may vary. The drive’s credentials aren’t particularly secret, but tucking them into /root/.nas-id means you could automount the drive with no hassle. The NAS drive requires the oldest possible CIFS version, of course. You could set up the camera as an NFS share, but having all the cameras deposit their pix in a common location seems more convenient, particularly after I get around to automating the image transfer. Regrettably, the NAS drive doesn’t support subdirectories. 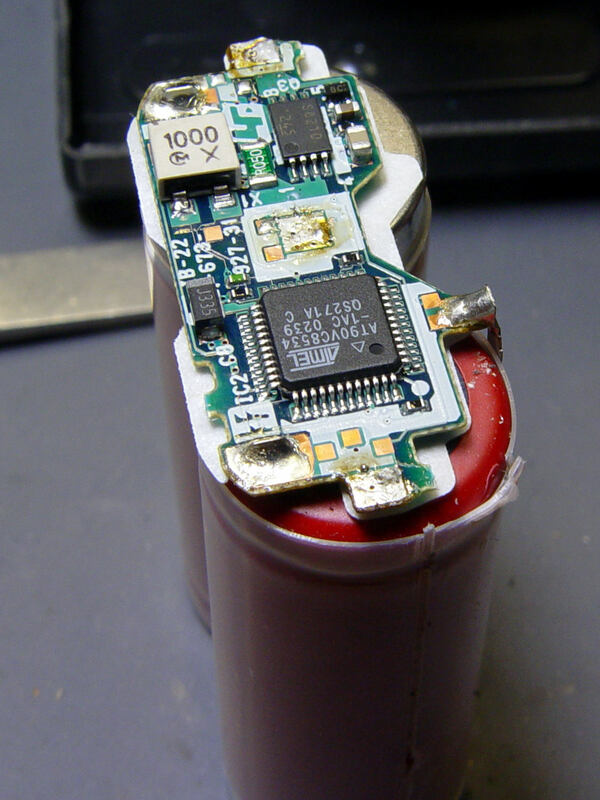 With six new 18500 lithium cells in hand, I rebuilt the three weakest NP-FM50 packs. 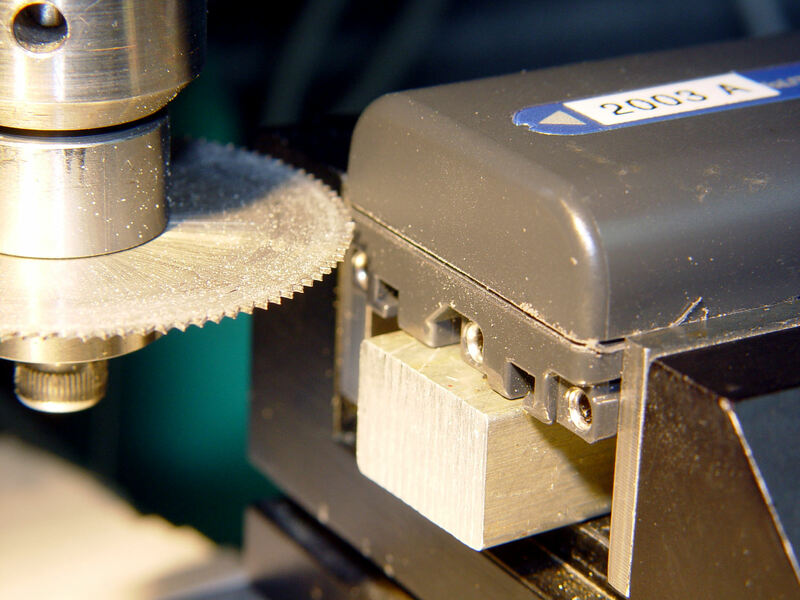 Adjust the saw to cut along the seam, set X=0 at the surface, jog to about X+0.7 mm, jog the saw along the seam, then repeat for the other three sides. 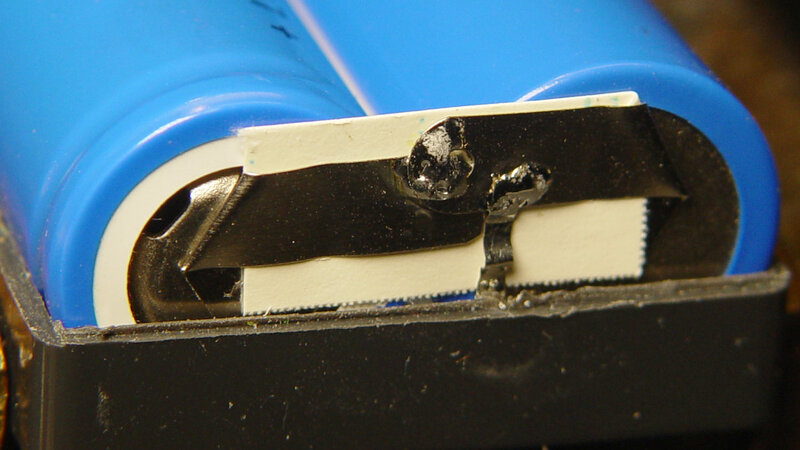 No real CNC involved, but it’s much easier than sawing or breaking through the seam by hand. 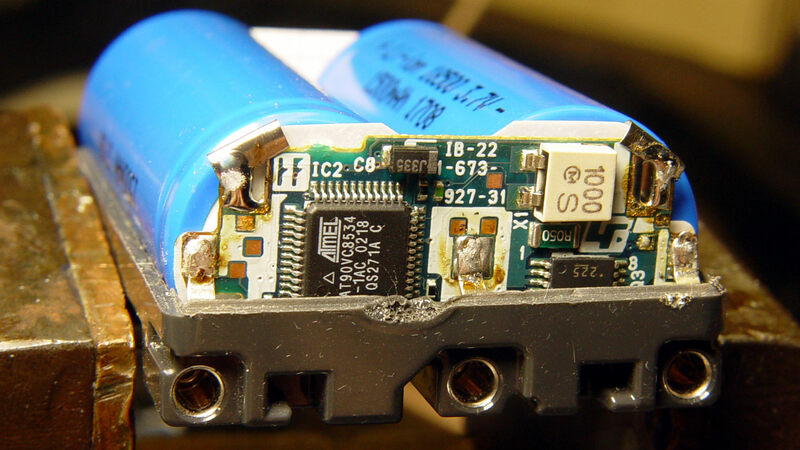 The cells have only lot numbers, no manufacturer ID. Wikipedia sayeth Sony Fukushima started in 2000; perhaps these were early production units with no branding. Moral of the story: pay attention, dammit! 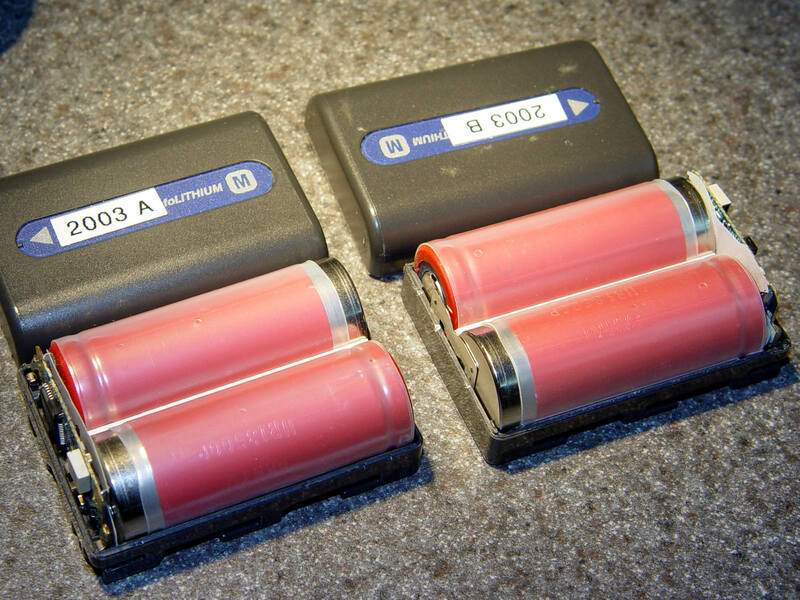 The two oldest batteries (OEM 2003 A and OEM 2003 B) have new identities to suit their new innards: 2019 E and 2019 F. The DOA eBay battery retains its 2019 D label after the rebuild, as there’s little room for confusion. 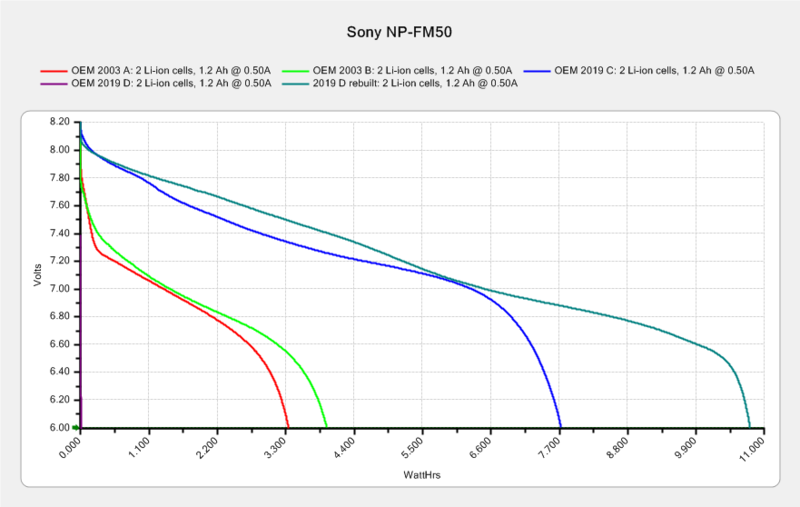 Admittedly, it’d be easier / cheaper / faster to buy third-party NP-FM50 packs directly from eBay or Amazon, but this way I know the cells aren’t complete crap and I get some Quality Shop Time™ out of the deal. 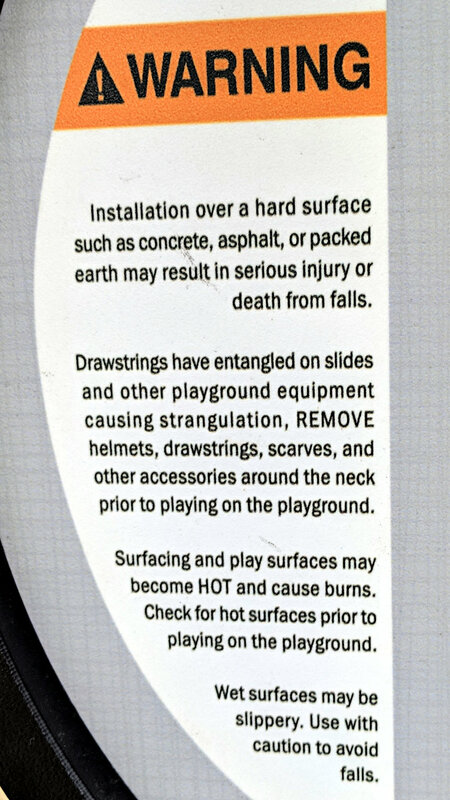 Fortunately, we lack a small child at risk of damage. You (well, I) just can’t make this stuff up.